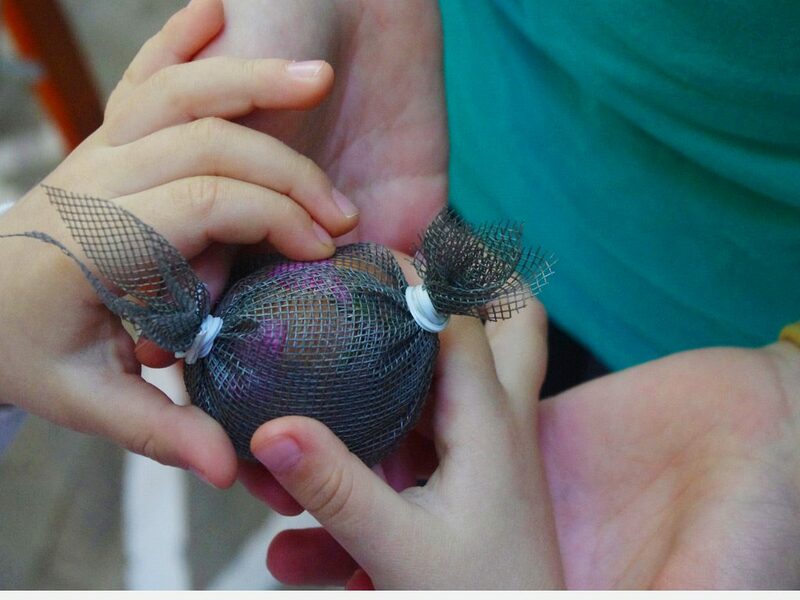 Easter is a special time in Greece and as such many of our most interesting traditional activities take place around that time. 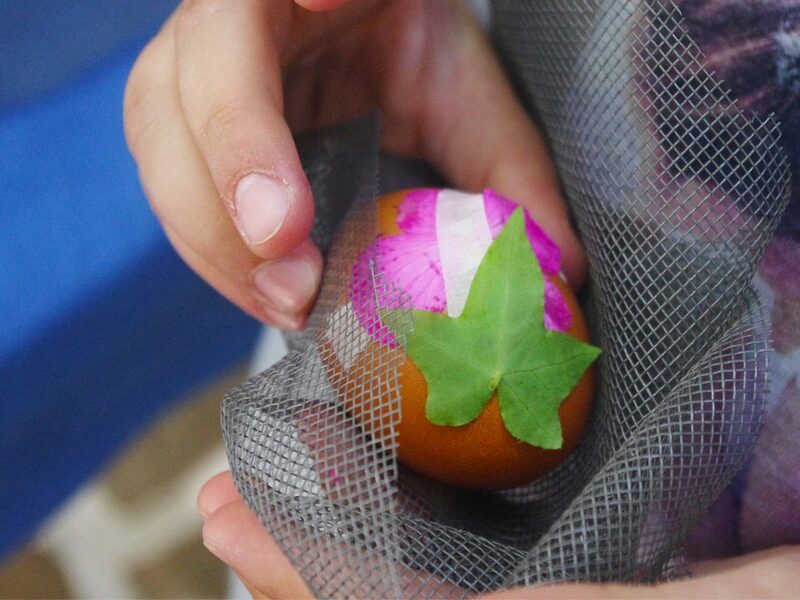 At Daphne’s Club Hotel Apartments each year we organise something different during this time: from egg painting with natural dyes to accompanying you to a monastery for an Easter liturgy. 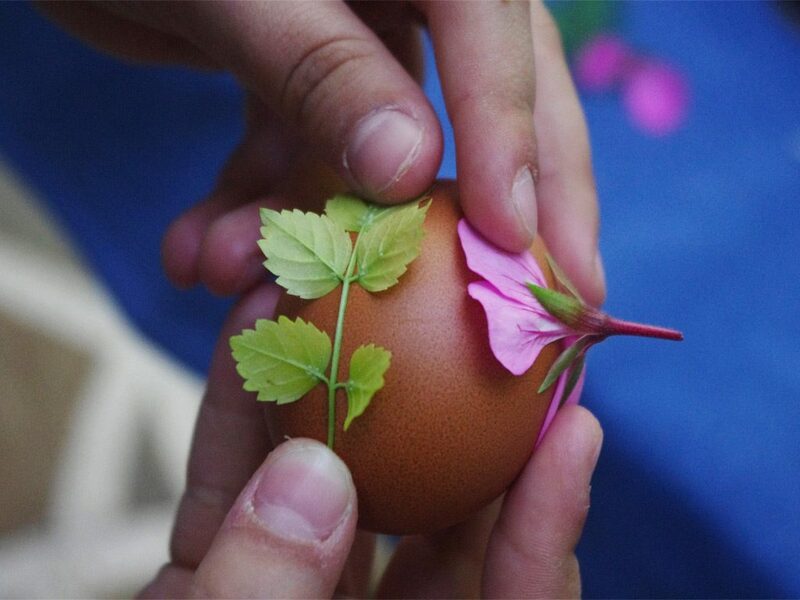 In addition to these activities, we also offer a full Greek Orthodox Easter package. 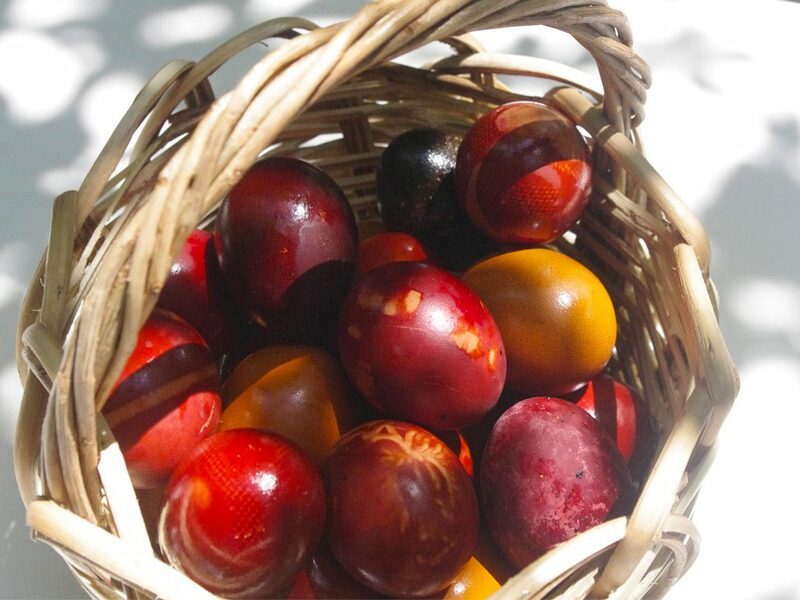 Easter preparations begin on Holy Thursday when the traditional Easter bread, “tsoureki” is baked, and eggs are dyed red (red is the color of life as well as a representation of the blood of Christ). 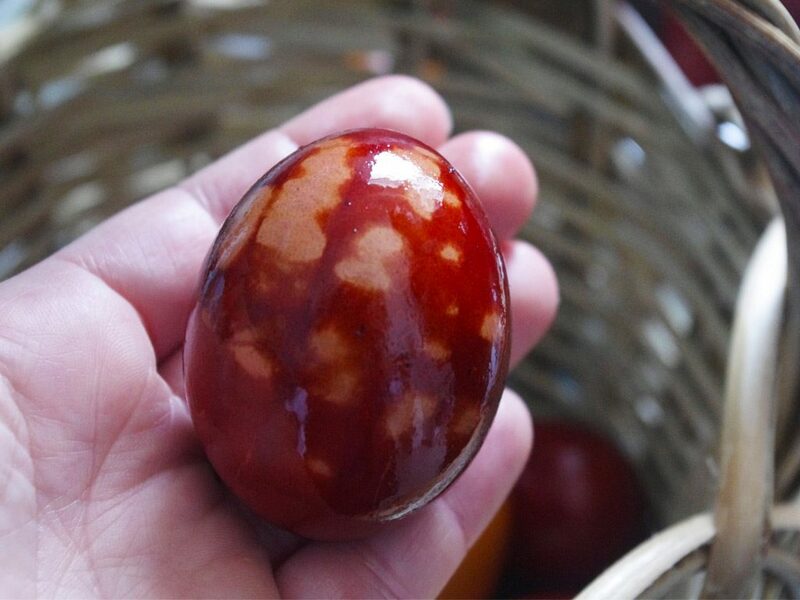 From ancient times, the egg has been a symbol of the renewal of life, and the message of the red eggs is victory over death. 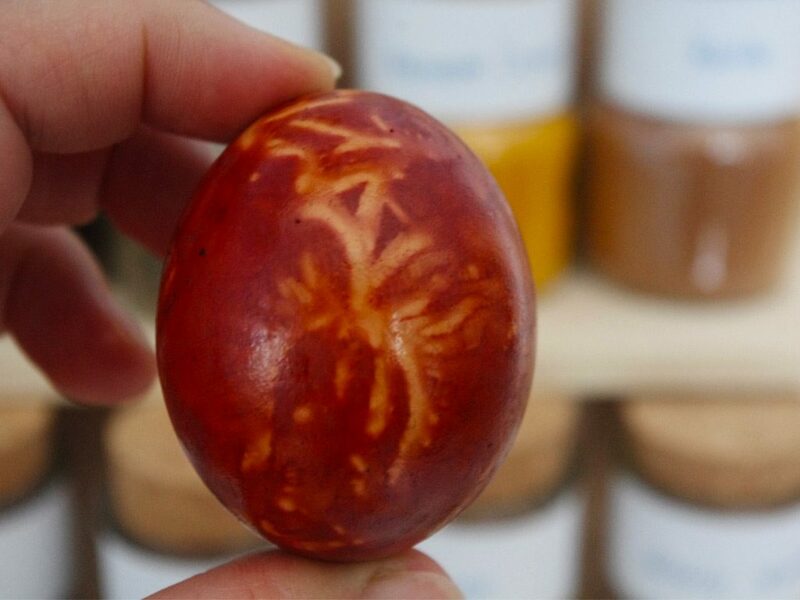 In times gone by, superstitions grew into customs that included placing the first-dyed red egg at the home’s iconostasis (place where icons are displayed) to ward off evil, and marking the heads and backs of small lambs with the red dye to protect them. Holy Thursday evening, church services include a symbolic representation of the crucifixion, and the period of mourning begins. In many villages – and in cities as well – women will sit in church throughout the night, in traditional mourning. The holiest day of Holy Week is Holy Friday. It is a day of mourning, not of work (including cooking). It is also the only day during the year when the Divine Liturgy is not read. Flags are hung at half-mast and church bells ring all day in a slow mournful tone. Many devout do not cook on Holy Friday, but if they do, traditional foods are simple, perhaps boiled in water (no oil) and seasoned with vinegar – like beans – or thin soups like “tahinosoupa”, a soup made with tahini. Traditionally, women and children take flowers to the church to decorate the “Epitaphio” (the symbolic bier of Christ). The Service of Lamentation mourns the death of Christ and the bier, decorated lavishly with flowers and bearing the image of Christ, is carried on the shoulders of the faithful in a procession through the community to the cemetery, and back. Members of the congregation follow, carrying candles. On Holy Saturday, the Eternal Flame is brought to Greece by military jet, and is distributed to waiting Priests who carry it to their local churches. The event is always televised and if there’s a threat of bad weather or a delay, the entire country agonizes until the flame arrives safely. On the morning of Holy Saturday, preparations begin for the next day’s Easter feast. 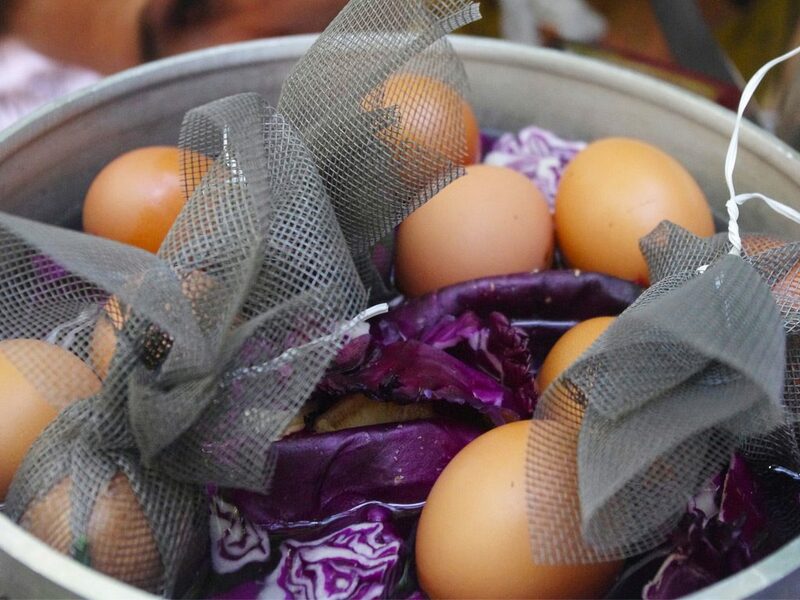 Dishes that can be prepared in advance are made, and the traditional “magiritsa” soup is prepared, which will be eaten after the midnight service, to break the fast. The midnight Service of the Resurrection is an occasion attended by everyone who is able, including children, each holding a white candle. 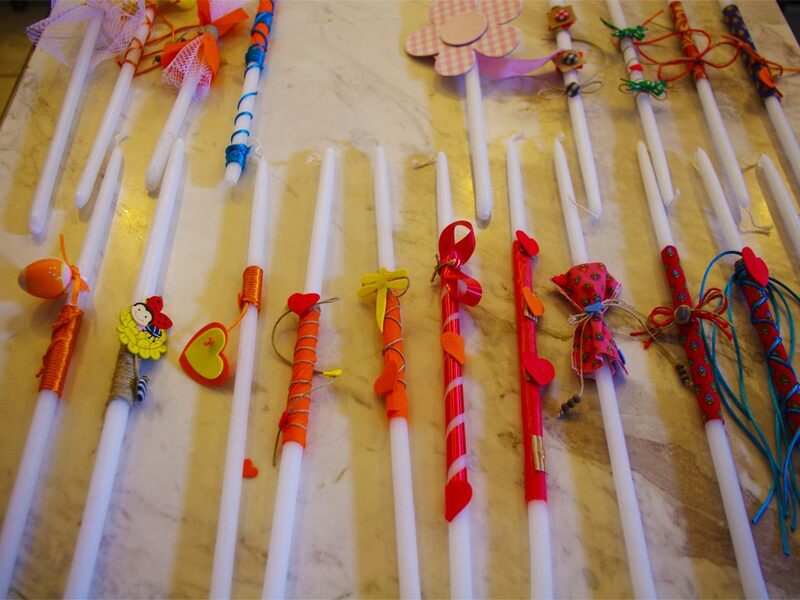 Special candles made for Easter are called “labatha” and are often given as gifts to children from their parents or God-parents. These candles can be lavishly decorated with favorite children’s heroes or storybook characters, but the candle itself is usually white. These candles are only used for one Easter midnight service. Crowds are so big that churches fill to overflowing as anticipation mounts. Shortly before midnight, all lights are extinguished and churches are lit only by the Eternal Flame on the altar. When the clock passes midnight, the Priest calls out “Christos Anesti” (Christ is risen), and passes the flame, the light of the Resurrection, to those nearest him. The flame is then passed from person to person, and it isn’t long before the church and courtyard are filled with flickering candlelight. The night air is filled with the singing of the Byzantine Chant “Christos Anesti” and the “fili tis Agapis” (kiss of Agape) and wishes are exchanged. As is the custom, as soon as “Christos Anesti” is called out, church bells ring joyously non-stop, ships in ports all over Greece sound their horns, floodlights are lit on large buildings, and great and small displays of fireworks and noisemakers are set off. At dawn (or earlier) on Easter Sunday, the spits are set to work, and grills are fired up. The customary main attraction of the day is whole roasted lamb or goat (kid) to represent the Lamb of God, however many prefer oven and stovetop lamb or kid dishes. Ovens are filled with traditional accompaniments and all the trimmings. Greek wines, ouzo, and other drinks flow freely, and preparations for the meal turn into festive celebrations even before the eating begins. These high-spirited gatherings often last long into the night. 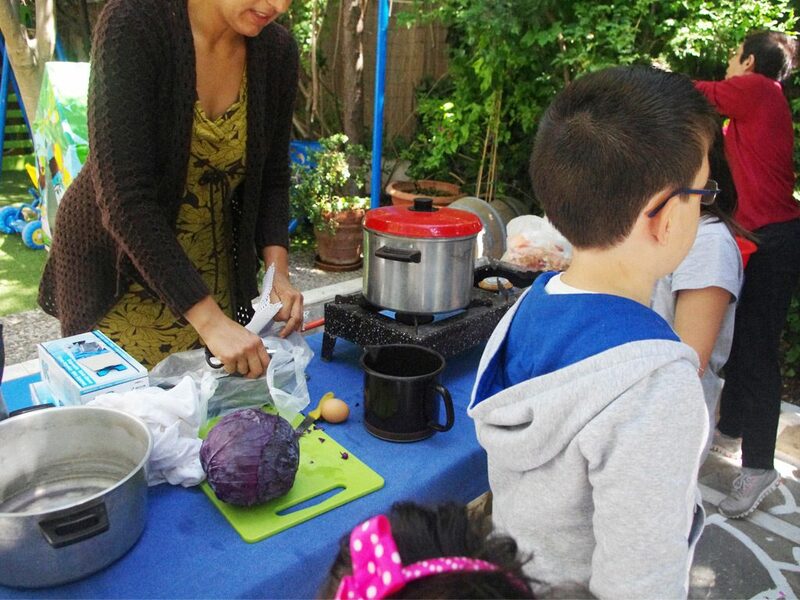 Read here about Daphne’s oven-cooked Easter lamb (in German), from one of our guests. Another national holiday, Easter Monday is a day to take things slowly, and certainly a day filled with delicious leftovers!